Even cancer can't get some patients to quit smoking. What could help them kick their habit? After Mary Moore was diagnosed with bladder cancer in 2016, she kept smoking, defying her doctors' advice and her sons' pleas. "I liked smoking," recalled the Northeast Philadelphia resident, who is now 61. "I tried quitting before. I just didn't think I could quit." Fortunately, she joined a clinical trial that proved her wrong. The study, run by the University of Pennsylvania and Northwestern University, gave 207 smokers with various cancers either 24 weeks of the smoking cessation drug Chantix, or 12 weeks of the drug, which was then standard. Both groups also received counseling sessions. "It definitely was a struggle, but the medication was helpful," said Moore, who was in the 24-week treatment group and has not smoked for more than two years. Unfortunately, Moore's success was unusual. Contrary to the researchers' hypothesis, extended treatment with Chantix, or varenicline, did not improve overall quit rates at six months or a year—providing yet more evidence of the deadly grip of nicotine addiction. Smoking has been shown to interfere with the effectiveness of cancer treatment and worsen patients' long-term prognosis. Yet only about 16 percent of patients in both treatment groups were tobacco-free at one year—worse than the rate seen in the general population of smokers, according to the study, published recently in the journal Psycho-Oncology. "Personally, I'm not surprised," said lead researcher Robert Schnoll, a psychologist at Penn. "I've been working in nicotine dependence research for 20 years. The brain chemistry is affected by decades of exposure to nicotine. Some patients view [smoking] as critical to managing the stress in their lives." Chantix curbs the compulsion to light up by binding to nicotine receptors in the brain. The drug blocks inhaled nicotine, and partly activates the receptors, prompting a mild release of pleasure-signaling dopamine. The new study found that sticking to treatment improved abstinence—temporarily. After 24 weeks, 44 percent of adherent patients in the extended treatment group had not smoked at all, compared with 28 percent who stuck with the 12-week Chantix regimen. But at a year, "there were no significant treatment effects on risk for relapse ... or recovery." For smokers in general, Chantix is now prescribed for 12 weeks, then extended for 12 more weeks if patients are having success with it. The study enrolled patients who had malignancies with well-known and not-so-well-known links to smoking, including lung, urinary, kidney, pancreas, breast and skin cancers. About 20 percent of them had early-stage cancers, 20 percent had advanced cancers, and the rest were in remission after treatment. Moore was still getting chemotherapy when she got a letter about the Chantix study three months after her bladder cancer diagnosis. "It was scary, but we caught it in time. The tumor had not penetrated the bladder wall," said Moore, an identity protection analyst. "I was lucky." How does a life-threatening illness affect the will to quit? "I think it made me look at my health," said Moore, who began smoking at age 16. "Even though I didn't believe smoking alone caused my cancer, it's not good for your body." Schnoll said research shows that more than half of cancer patients quit immediately upon diagnosis, but many relapse. Those facing a grim outlook may see no point in kicking a habit that helps them cope with anxiety and stress. "We not only see that attitude among patients, but also among clinicians," Schnoll said. 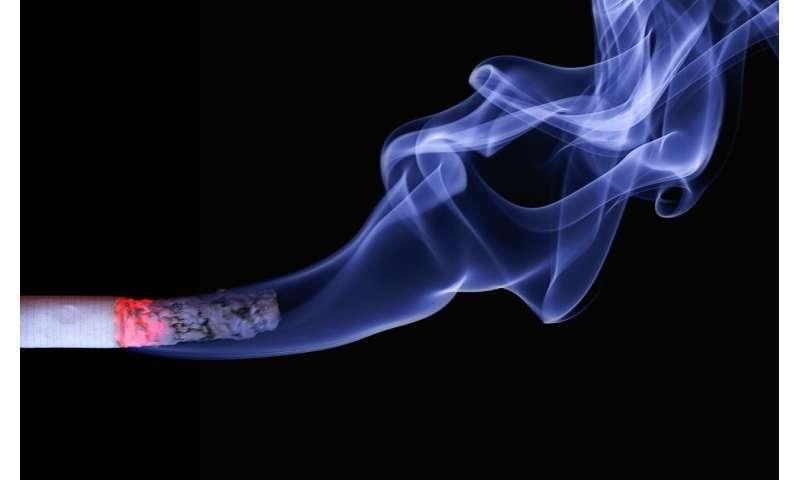 "When we talk to oncologists about integrating smoking-cessation treatment, we often hear ideas that are fatalistic." Given the remarkable advances in cancer care, both advocacy and research groups have called for adding quit-smoking support. The National Cancer Institute, for example, recently launched an effort to get the nation's NCI-designated cancer centers to begin or expand quit-smoking programs. The key, Schnoll said, is to offer help without being "dogmatic." "Patients have to be committed and willing. We have to be respectful of that," he said. "It was a combination of the medication and them telling me, if you slip up, it's not a failure," she said. "I didn't feel pressure."